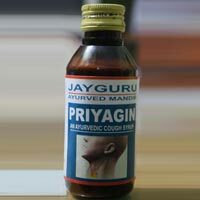 Jayguru Ayurved Mandir has carved a niche as a prominent Manufacturer as well as Supplier of a wide range of Ayurvedic Products. 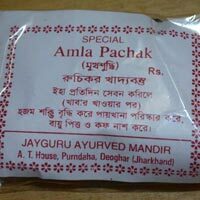 The profile of our Ayurvedic Products includes Ayurvedic Syrup, Antiseptic Face Cream, Ayurvedic Tablets, Ayurvedic Tooth Powder, Ayurvedic Hair Oil, and Amla Pachak. 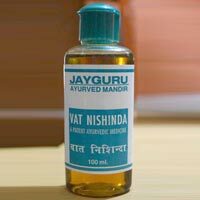 We always ensure that a high level of quality is always maintained in all of our Ayurvedic Products. Our ethical business policies and client oriented approach has helped us in becoming the foremost choice of clients. For any assistance, our experts are always an extended hand. 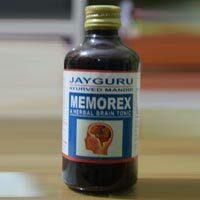 The cornerstone of Jayguru Ayurved Mandir was laid in the year 2009 in Deoghar, Jharkhand (India). Since then, we are growing leaps and bounds with each passing day. Quality is not only limited to the gamut of products we offer but it also exists in every aspect of our operations. Quality for us is a tool that helps us in ensuring the satisfaction and wellness of our customers.